Last Saturday I was departure to Hong Kong Airport via the earliest available flight from LCCT. The earliest flight is at 6.30am and arriving around 10.45am. My mind already filled with what to eat upon arriving the airport. After checking out the itinerary in Disneyland, I decided to go for dessert rather than a meal. Some more on the plane there are a meal prebooked where I had it as breakfast. So somewhere in between, the dessert fit in just nice. 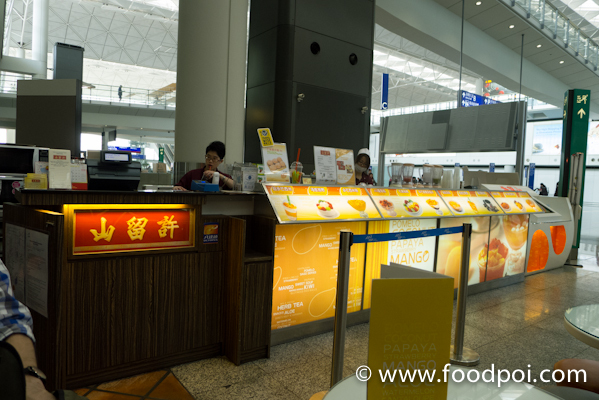 The dessert place is located at Terminal One which you can’t miss. It is just next door to Ajisen Ramen and easily noticeable at the arrival hall. We ordered a box of 6 pcs mango mochi to start it off. 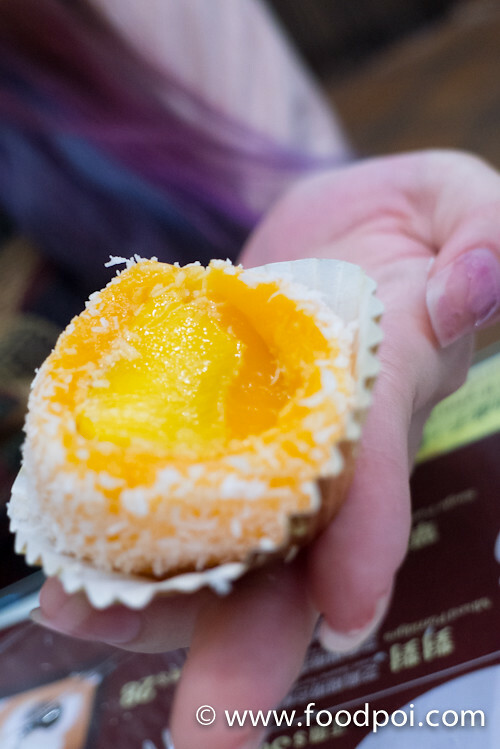 The mochi come with a whole piece soft glutinous rice wrap with the best white lily mango meat. 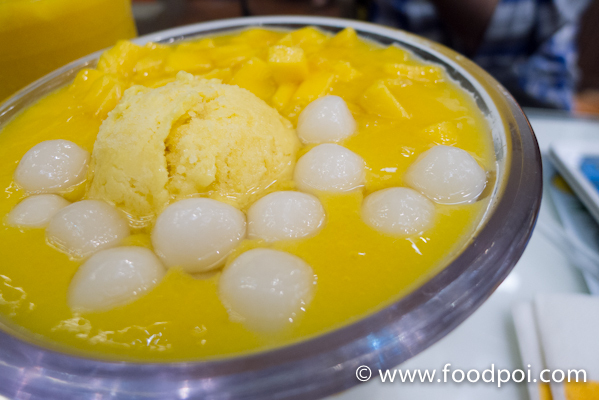 There are no sugar used and all the sweetness and bland glutinous rice skin were flavored with the mango. 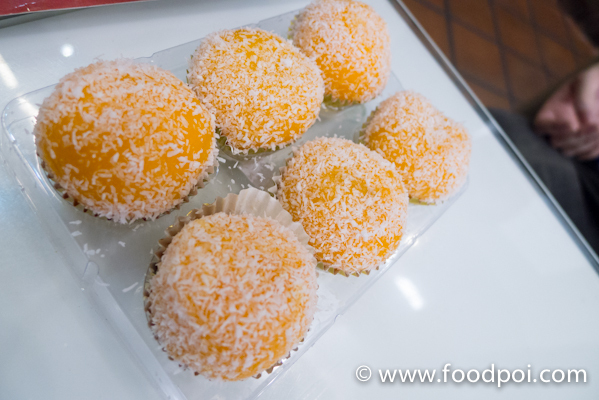 The glutinous rice balls were just plain ones and paired with fresh blend mango juice and then topped with a scoop of mango sherbet. For a final touch it is added with fresh cut of mango flesh. The taste were refreshing and appetizing more like an appetizer than dessert to me. This is the same juice that is used with the dessert above. 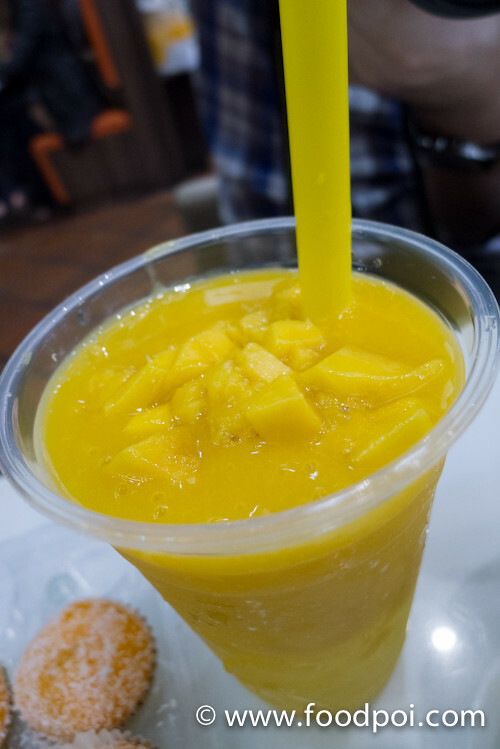 Just that the bottom is ai yu jelly like mango jelly. On the second day after the Disney Land park visit, we went again to Mongkok outlet for another round. 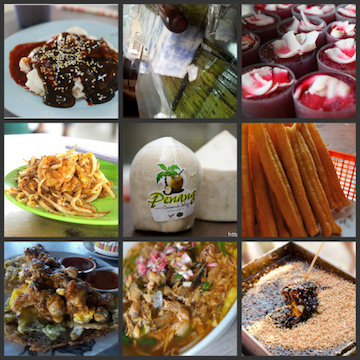 eh, makan one type of dessert nia meh? but but but, no sugar added one??????????????ahhh!!! Best laaa! natural sugar! look at the bright orange color!!! CANT WAIT TO BITE IT!